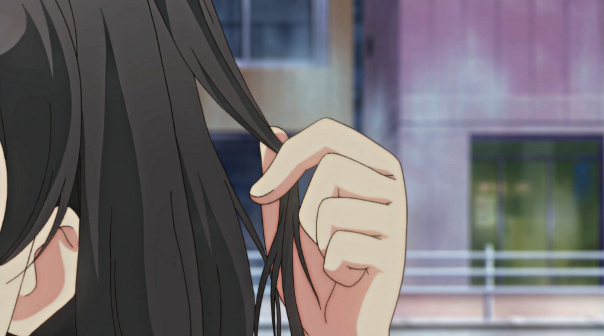 Recap: Youto begins stalking Azusa to learn about her find ways to get her to open up. After observing her at work he discovers that she is not as rich as she appears. Youto decides the best thing he can do for Azusa is take her on a commoners date and show her that being rich is not that important. Where does he take her you might wonder? To wedding dress shop and a gynecologist. Tsukiko steps in before the Date is completely ruined, but when her sister shows up the two of them bolt, leaving Azusa to think the whole thing was setup to mock her. And now you will never see Tsukiko dress up as a maid. Lifesong’s Thoughts:This anime wastes no time jumping right into the drama. Azusa’s back story is kind of cliche, but despite the silliness of a high school girl dunning a construction helmet, I think it worked to good effect. Azusa clearly has a need for Youto’s inhibitions and I am glad to begin learning what those are sooner rather than later. 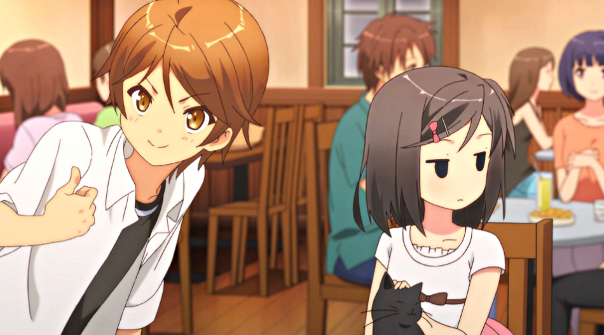 While the drama and the comedy are enjoyable, the real star of this anime has been Tsukiko. The subtly with her lost facial expression and the way she makes up for it with body language is more than I normally expect from JC Staff and god watching her eat stuff is the cutest thing ever. I’ve often said that JC can make good anime when they try, but only one at a time. With Railgun S and Henneko in the same season, they are challenging that statement. I hope the production values will hope up as time goes on. 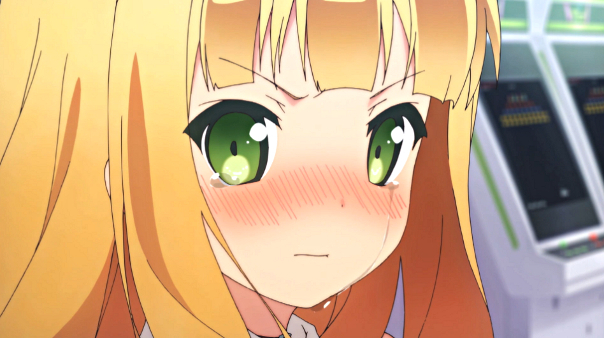 Loli Tsunderes have feelings too. Tsukiko’s relationship with her older sister is something I curious to see develop. It assume her sister has been forced into a position of caretaker and I am going to go out on a limb and guess that she may have been the one to take Tsukiko’s discarded expression. Even if she is not, I am having fun watching these characters develop despite the cliches. If this keeps up we might have a pretty good drama on our hands.